The Democrats’ proposal unveiled yesterday is exactly what Republicans have been saying it would be – no protections for middle-income families and businesses and a blank check for Democrats. The current constitution provides safeguards and protections for middle-income families that we desperately need to keep in Illinois. It helps to force lawmakers to face economic and spending realities. Those comments fly in the face of the promises that Democrats are making now about who will pay more and who will pay less if we just trust them and approve their plan. The truth about why Democrats in Springfield want to open up the constitution is so they can have more “options” to increase taxes on Illinois families and businesses whenever they want. We cannot trust Democrats in Springfield at their word on this because they’ve lied to Illinois families and businesses over and over and over again. 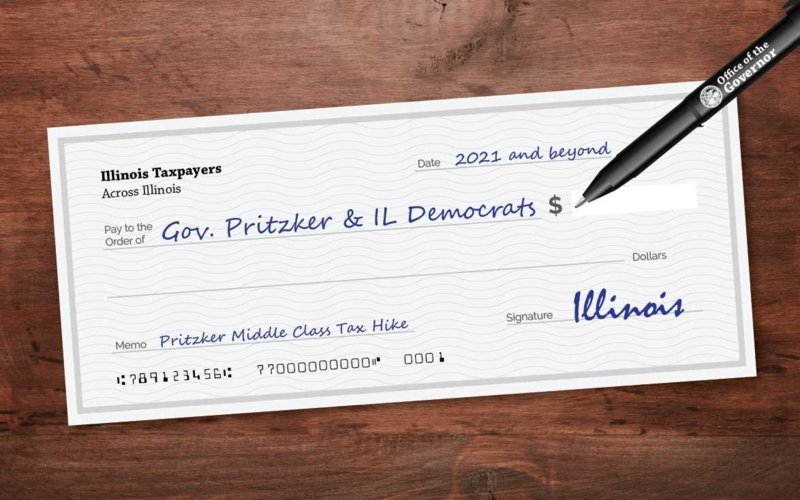 Illinois families can’t afford to give Democrats a blank check.